Deborah O'Toole is the author of Celtic Remnants, Glinhaven and Mind Sweeper. 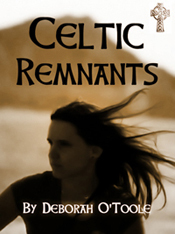 Celtic Remnants is a novel of enduring love and betrayal set in the political turbulence of Ireland, glamour of London and the wilds of Scotland. Click here to learn more. 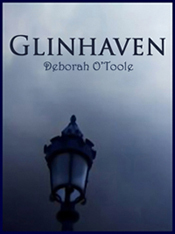 Glinhaven is a traditional gothic fiction novel in the vein of 1970s authors Marilyn Ross and Dorothy Daniels. Click here to learn more. 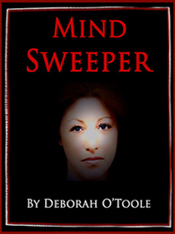 Mind Sweeper is a mystery/suspense novel available in Kindle, Kobo and Nook editions. Click here to learn more. Or select from the links below. A young girl is shaped by horrific events that change her life forever. After Ava's brother and parents are killed by British soldiers, she vows to avenge their deaths as she picks up the pieces of her shattered world. Piper Hunt leaves Boston to take over her grandfather's curio shop in Glinhaven, Massachusetts. While adjusting to life in the seaside village, she uncovers dark secrets hidden at the forbidding monastery which may also unlock mysteries from her past. Newly-widowed Beth Mills accepts an outpouring of sympathy from her community after a freak mining accident takes the life of her husband, Aaron.